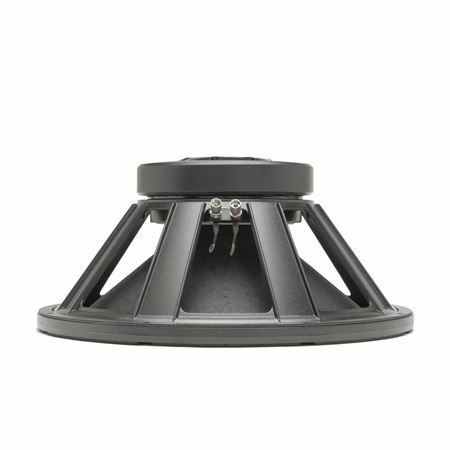 Shop Eminence KilomaxPro 15A 15 Inch PA Speaker 1250 Watts from AMS with 0% Interest Payment Plans and Free Shipping. Designed for high power applications in main PA systems and sub-woofers, there is nothing that shakes the house like a Eminence Kilomax 15A Subwoofer Speaker. A massive 109 oz. cast frame magnet structure, double spider suspension, and integrated front loaded heat sink all combine to pound out whatever you pound in. 8 ohms, 1250 watts and music program of 2500 watts. Compliance Equivalent Volume (Vas): 154.5 liters, 5.46 cu. ft. Very dependable and reliable. 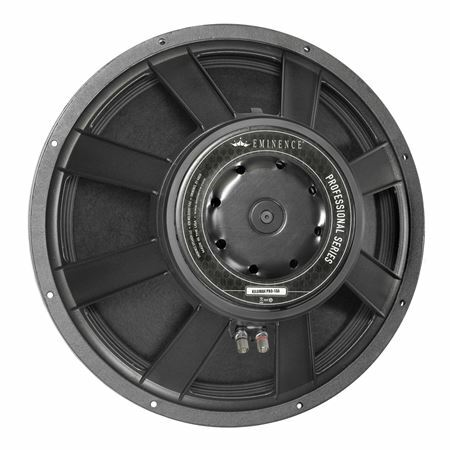 Found out that Klipsch uses this in all their speakers they build. this speaker could be pushed extremely hard. Very crisp and clear tone no matter how hard i push it. I have it powered by an Ampeg STV-4 and you can feel it. The crowd loves it. 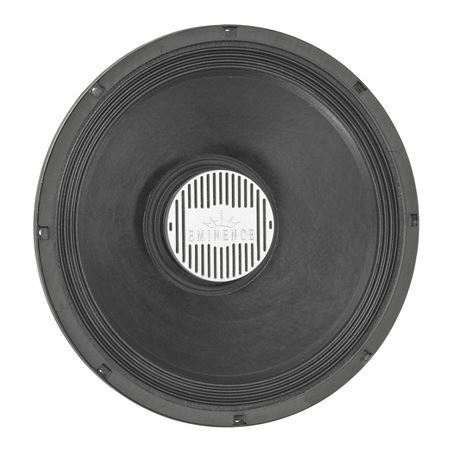 Pair it with a 4-10 cab with tweeters and you will be amazed. This speaker puts out massive bass!!! Bought this item to replace an MTX subwoofer rated for 400 watts and kept the same box. You can feel it crank out on the bass!!! Smooth and clean response. :) I'm purchasing another one no questions asked!